Lahore: Left-handed top-order batsman Umer Eman was retained as Pakistan U16 captain for the tour of Bangladesh for two three-day and three 50-over matches to be played from 29 April to 15 May. Umer, a second year student of Punjab College, was an automatic choice to captain the side after he finished as the leading run-scorer for Pakistan with 159 runs against Australia, besides marshalling his troops to a 3-2 series win in the 50-over matches as well as the only T20. He also claimed seven wickets at an economy-rate of under four with his wrist-spin bowling. Kashif Ali of Karachi was named as Umer’s deputy. Kashif had a good series against Australia, where he aggregated 126 runs. 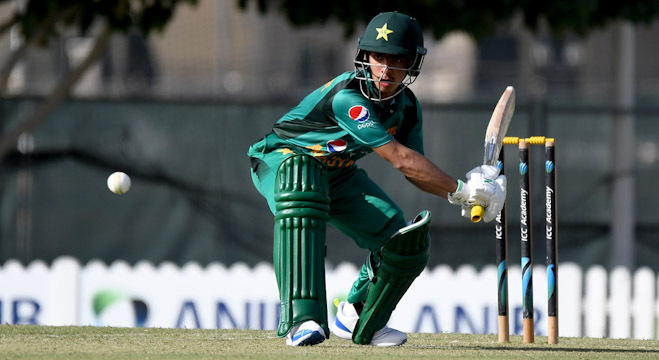 Also named in the squad was Multan’s opener Mohammad Shehzad who had hit two centuries (104 and 107 not out) in a three-day practice match last week as the junior selection committee, headed by Basit Ali, maintained consistency in selection by retaining 13 of the 15 players who featured in the series against Australia in the UAE earlier this year. Shehzad played in just two 50-over matches against Australia, but his most impressive performance came in the one-off T20 when he scored an unbeaten 73 to help Pakistan achieve the 154-run target on the final ball of the match with six wickets remaining. Also rewarded for stellar performances in the three-day practice match were Mohammad Waqas, who had scored 111 in the second innings, and Amir Hassan, the left-arm spinner, who took seven wickets for 40 runs in an innings. 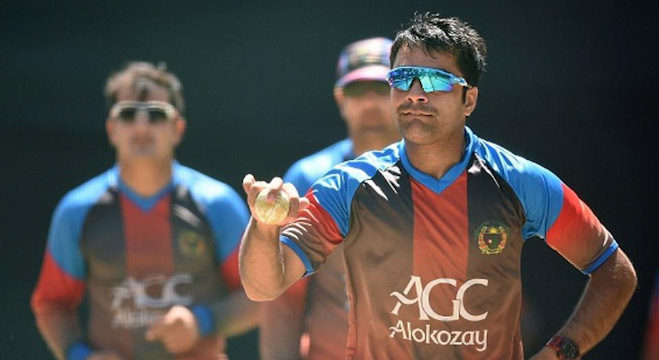 Khalid, who took a couple of wickets in the three-dayer, is the other newcomer in the 16-member side, while Ali Hassan and Ayaz Shah, who were members of the 15-player squad for the series in the UAE, have been named in reserves along with Arham Nawaz and Muneeb Wasif. Year-nine student Ahmed Khan, who was the pick of Pakistan bowlers with 13 wickets, will continue to lead the attack, which also includes left-arm chinaman bowler Faisal Akram from Multan, also a year-nine student, who took 10 wickets in the UAE. Umer Eman was delighted to be retained as captain, when he said: “It is an honour and a privilege to be named as Pakistan captain for another important assignment. I will try my best to live up to the expectations of the selectors and justify their decision. PCB Director Academies – Mudassar Nazar, said: “These are extremely talented bunch of cricketers and we are trying to make them better through the five-star facilities we have at the National Cricket Academy. I have high hopes from these lads as I can see the spark and hunger for cricket, which can take them to higher levels through sheer hard work. The 26 probables will now play in a two-day warm-up match at the Gaddafi Stadium on Thursday and Friday, while 50-over practice match will be played on Saturday. 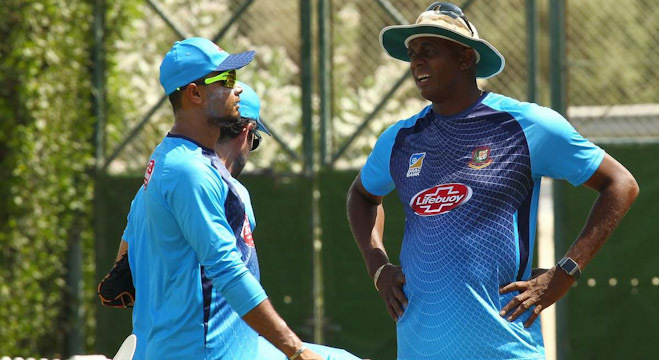 The players will disperse on Sunday, while the selected squad will reassemble at the National Cricket Academy on Wednesday, 17 April, for an eight-day camp before leaving for Dhaka on 26 April. Profiles of the players who played against Australia in the UAE can be found here. Umer Eman (Lahore) (captain), Kashif Ali (Karachi) (vice-captain), Ahmad Khan (Abbottabad), Ali Asfand (Faisalabad), Aliyan Mehmood (Karachi), Amir Hassan (Rawalpindi), Aseer Mughal (Rawalpindi), Faisal Akram (Multan), Farhad Khan (FATA), Haseebullah Khan (Quetta), Khalid Khan (Quetta), Mohammad Shehzad (Multan), Mohammad Waqas (Faisalabad), Rizwan Mehmood (Hyderabad), Sameer Saqib (Faisalabad) and Zubair Shinwari (FATA) (wicketkeeper).